Breast cancer is the most common type of cancer in women and the second leading cause of cancer-related deaths, next to lung cancer. Although men can also get breast cancer, cases of male breast cancer account for less than .05% of all breast cancer cases diagnosed. If eight women live to the age of 85, at least one of them will develop breast cancer in her lifetime. Two-thirds of women diagnosed with breast cancer are over the age of 50, and the majority of the remaining women diagnosed with breast cancer are between the ages of 39 and 40. Breast cancer is caused when abnormal tissue in the breast begins to multiply uncontrollably. These cancerous cells can travel to other locations in the body and cause further damage. The good news is that breast cancer is easy to treat if it is detected early on. Breast tumors can be successfully treated before cancer spreads throughout the body. In nine out of ten cases of early breast cancer, women will live another five years at the minimum. However, once breast cancer spreads throughout the body, it is difficult to treat completely. Methods of treatment can be used to control the disease for years at a time if it has spread to other organs. Breast cancer will initially develop in breast tissue, normally in the glands and milk ducts. This type of cancer is still considered to be breast cancer, even if it is discovered after traveling to other areas of the body, like the liver, lungs, and bones. If cancer has traveled to other areas of the body, it is most often called advanced or metastatic breast cancer. Breast cancer will often begin with a small formation of tumors or calcium deposits that spread to the lymph nodes and through the bloodstream to the body. A breast cancer tumor can grow and overtake tissue surrounding the breast, like the chest or skin. Age and gender. Women are more likely to develop breast cancer as they get older. 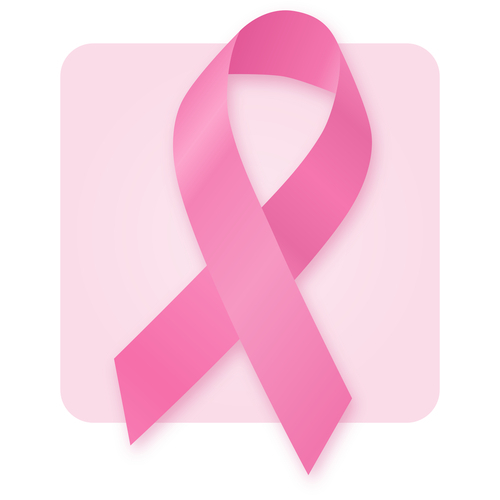 The most advanced cases of breast cancer are normally detected in women over 50. Menstrual cycle. Women who got their period before the age of 12 or went through menopause after the age of 55 are more likely to have breast cancer. Other risk factors include drinking more than 1 to 2 glasses of alcohol per day, never having children or having children after the age of 30, taking hormone replacement therapy, or receiving radiation therapy. Women who took a drug called DES to prevent miscarriage in the 1940s through 1960s also have a higher risk of breast cancer after the age of 40. Contrary to popular belief, using antiperspirants, having breast implants, and wearing underwire bras do not increase the risk of breast cancer. Breast cancer has also not been directly linked with pesticides.